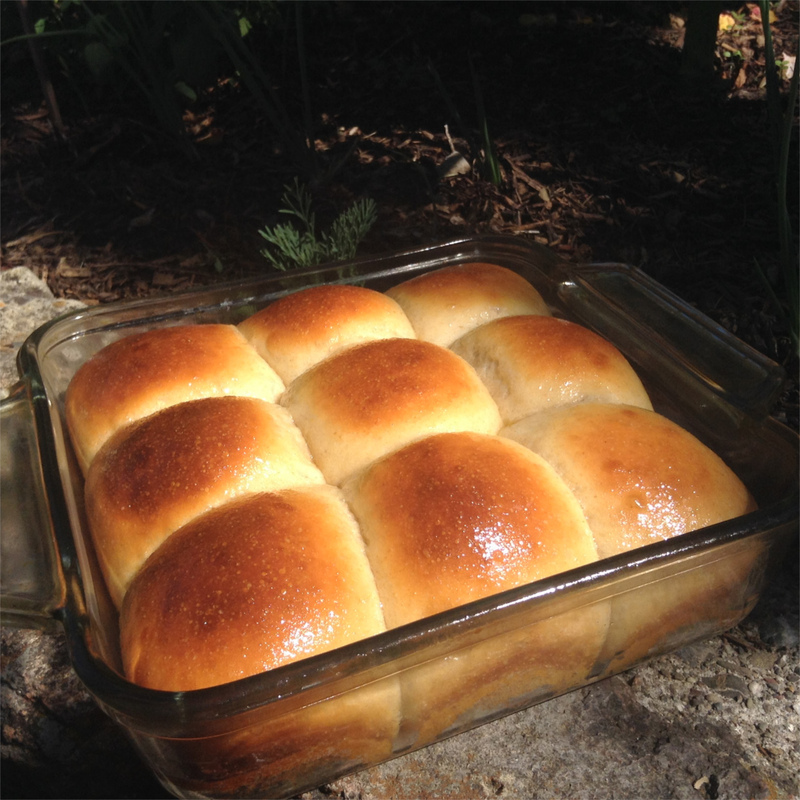 Very similar to King’s Hawaiian rolls, these sweet rolls are a great addition to breakfast, lunch or dinner. This versatile dough can also be made into loaves and toasted if you prefer. This yields 2 loaves of bread or 18-24 70g rolls. Stir together the yeast, water and tablespoon of sugar in a cup and let stand 10 minutes to ensure your yeast is active. In a large bowl, mix together the sugary yeast water, milk kefir, butter, sugar and eggs. Once combined add the salt and flour, knead 4-5 minutes with a mixer or 10-12 minutes by hand. Cover and let rise until doubled, around 2-4 hours depending on the temperature of your home. Once doubled, place the dough onto a well floured surface and rolls into buns. 70-100 grams in size depending on how large you like your rolls. Cover and let rise again until doubled. Bake on the center rack of a 375° ;Fahrenheit oven for approximately 24-30 minutes until the tops are golden. This recipe can also be used to make 2 loaves of bread instead of the rolls. To get a nice sheen on your rolls, brush the warm rolls right out of the oven with some butter. These look delicious! I could definitely see myself serving this with a meal at dinner for my family! The probiotics in the kefir are cooked away when it is baked, correct? Yes, the probiotics do not survive the baking process. However if you have extra or even extra sour kefir that may be hard to eat otherwise, it is definitely a tasty way to use the kefir! Where does the butter come in? Recipe has been updated, thank you!